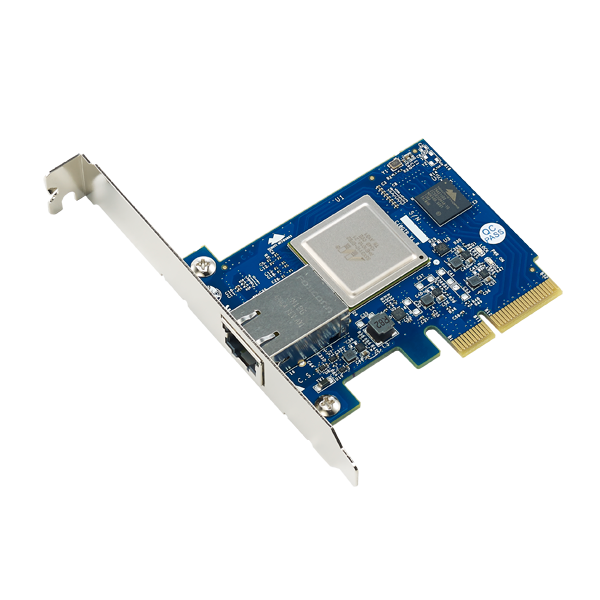 Featuring a Tehuti TN4010 processor, the C10GTR grants your system compatibility with next-generation 10Gb Ethernet networks. This increased bandwidth yields astonishing file transfer performance and opens up high-bandwidth access to both server and storage applications. The C10GTR is fully compliant with a wide range of protocols, including IEEE 802.3az, IEEE 802.3ad Link Aggregation, and IEEE 802.1q VLAN standards. And with support for a number of operating systems including Windows® Server 2012, Windows Server 2008R2, Windows 7, Windows 8, and Linux, the C10GTR is easily integrated into virtually any network. 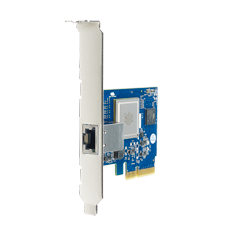 The C10GTR adaptor supports both full-height or low profile brackets and can be installed in either PCI Express x4 or x8 slots which ensures high compatibility with a wide range of systems. Best of all, the C10GTR can be easily installed into numerous Thecus® NAS devices, transporting your data to the lightening-fast world of 10Gb Ethernet. Supported devices include the N7710/N7710-G, N8810U/N8810U-G, N8900, N12000PRO and N16000PRO. With the proliferation and widespread adoption of 10GbE environments accelerating in response to the dropping prices of switches and compatible systems, Thecus Technology Corp. has taken bold steps in positioning itself as a leader in storage at this top-tier of network technology. Further bolstering its goal of ‘empowering professionals' is the release of the C10GTR NIC, the follow-up to its successful C10GT card. 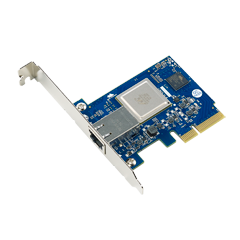 Powered by an advanced Tehuti TN4010 processor, the new 10Gb Ethernet PCI Express Adapter from Thecus is compatible with both x4 and x8-sized PCIe slots as well as 100M, 1G, and 10G networks. Software supported by the C10GTR includes Windows Storage Server 2012, WSS 2008 R2, Windows 8, Windows 7, Linux 2.6, Linux 3.x, VMWare 5.x, and Hyper-V. 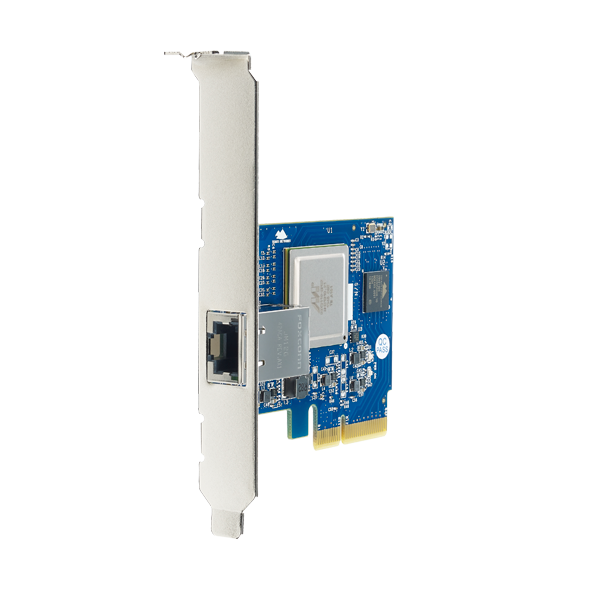 This low profile card is suitable for a wide range of products, including enterprise-targeted NAS from Thecus (such as the Top Tower, large business rackmount, and N7710/N8810U series, as well as the N7700 and N8800 PRO v2). Lastly, the C10GTR is also fully compliant with a wide range of protocols, including IEEE 802.3az, IEEE 802.3ad Link Aggregation, and IEEE 802.1q VLAN. With the unstoppable evolution of the network technology marching onwards, the Thecus range of networking solutions is ready for the multimedia-rich and cloud-centric operations of the future with 10Gb Ethernet.